Byron Kranz, 74, of Gaylord, died Saturday, Feb. 24, 2018, at his rural Gaylord home. Casket bearers were David Kranz, Keith Schmidt, Richard Schwenn, Bryan Parrott, Derrek Schmidt and Benton Kranz. Interment was in St. John’s Lutheran Church Cemetery in Mountville, Dryden Township, Sibley County. Byron Luther Kranz was born March 20, 1943, in Transit Township, Sibley County, the son of Roland and Emily (Trout) Kranz. He was baptized as an infant on April 18, 1943, and was confirmed in his faith as a youth on March 20, 1958, both at Immanuel Lutheran Church in Gaylord. He received his education at Immanuel Lutheran Parochial School in Gaylord. On Jan. 18, 1964, he was united in marriage to Sharen La Ray Hasse at Fairview Lutheran Church in Hopkins. Their marriage was blessed with four children, Pauline, David, Miriam and Chelsea. The couple resided in Gaylord, and shared 54 years of marriage. Mr. Kranz was a poultry farmer on his farm in rural Gaylord. 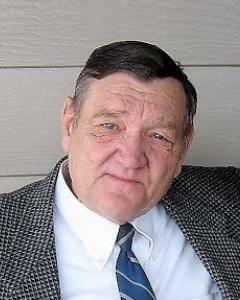 He was a member of St. John’s Lutheran Church in Mountville, Dryden Township, Sibley County. He enjoyed hunting, fishing and gardening. He especially enjoyed spending time with his family, grandchildren and friends. He is survived by his wife, Sharen La Ray Kranz of Gaylord; children, Pauline RaVae (Keith) Schmidt of Glencoe, David Byron (Holly) Kranz of Gaylord, Miriam Ruth (Richard) Schwenn of Milbank, South Dakota, and Chelsea Lorraine (Bryan) Parrott of Green Isle; grandchildren, Derrek Schmidt, Amber Schmidt, Elisabeth Schwenn, Bennett Schwenn, Benton Kranz, Mariah Kranz, Wyatt Kranz, Audrey Parrott, Trevor Parrott and Aleah Parrott; siblings, Arlene (Gene) Jacobson of Prior Lake, Virginia (Robert) Briard of Frazee, Hans (Shirley) Kranz of Gaylord, Luther (Laura) Kranz of Henderson and Cheyenne (Jerry) Bernstein of Arlington; sisters-in-law, Darlene Kranz of Gaylord, Michele Kranz of Hudson, Wisconsin, and Constance Kranz of Gaylord; brother-in-law, Larris Freyholtz of Bemidji; and many other relatives and friends. He was preceded in death by his parents, Roland and Emily Kranz; sister, Lorraine Freyholtz; and brothers, Ernest Kranz, Steven Kranz and Roger Kranz. Arrangements were with the Egesdal Funeral Home in Gaylord. Online obituaries and guest book are available at www.hantge.com.